Can you ever imagine to powered your room air conditioning with direct sunlight and get you rid off with annoying monthly electricity bills, so the answer is definitely positive because now the technology is so advanced that everyday you may hear or see impossible happenings around you and same is the case with this new advanced technology of Solar Power A/C. Greencore patented GC 10200 Solar Power A/C is currently available in market but the same story that every new comer technology has some prestigious features and available in a high price, so it is not yet available to general public but so far to some biggest profile organization and companies that can definitely hold its weight like McDonald’s and US Navy. 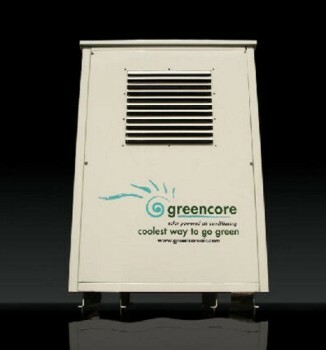 Greencore patented GC 10200 designed in US and available currently in two versions. One is that has to be fixed in one place and the other one is in a mobility form or simply portable which requires simply the use of batteries in order to make your A/C powered on when the direct sunlight is not in the direct contact with your panel. A single 170-watt solar panel is enough to cool a 600-square-foot room, a small classroom or military tents. One factor really shocks you that the amount of electricity needed to charge the batteries run the panel in the absence of sunlight is less than a requirement of a coffee-maker that is three hours. The above factors, features and technical specification declares this new technology far better than any other and the most impressive thing is that this will definitely be a profitable investment. Its high price can be its of the most biggest drawback but considering the lifetime ahead it’s a one time cost tool. Initial price starts from 3 lakhs to 5 lakhs and can be proceed depending on the specification. Wow thats cool and amazing. Solar Powered Air Conditioning is really good.